Squaretop Mountain Lakes, a hidden treasure of streams, lakes and wildflowers; Mt. Evans, Mt. 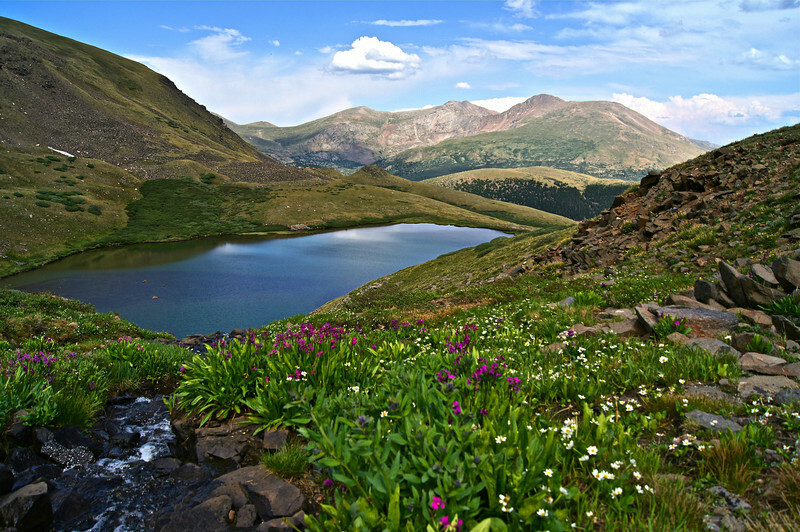 Bierstadt and Guanella pass constitute the view directly east; Colorado Front Range.